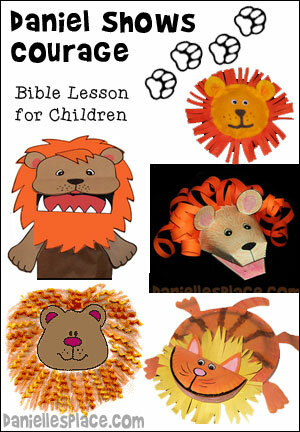 Instant Download KJV Bible Lesson - $2.95 - - Include everything ont this page. 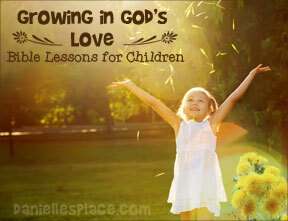 Children learn what the fruit of the Spirit is and how we can grow to be more like Jesus. Use flavored Kool-Aid to make a paint or scented markers or crayons that smell like the fruit your children are coloring or painting. See below. 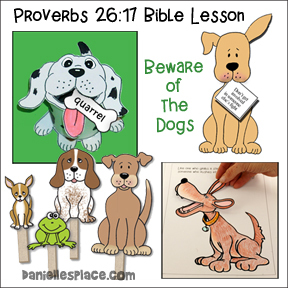 Each week your children memorize a verse they get to add a fruit to their bowl. You can write the verse on the back of each fruit and display the bowls on the bulletin board. Let your children color the bowls and write their names on the front. Cut a slit on the white line around the top of the bowl so that you can slip the fruit into the bowl. 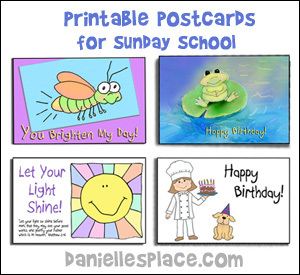 This series of lessons comes with a bowl of fruit and a fruit tree memory verse chart. Each week your children memorize a verse they get to add a fruit to their bowl or tree. You can write the verse on the back of each fruit and display the bowls on the bulletin board. See below for patterns. This can also be used as an opening activity. Let each child color a bowl or tree and write his or her name on the front. Children paint the fruit with paint made with Kool-Aid. 2. Add one or two tablespoons of water to each package of powdered Kool-Aid. Have your children paint with the appropriate Kool-aid mixture to make fruit that actually smells like the picture they are painting. When the pictures are dry, show them how to scratch them with their fingernails to smell the fruit. At the end of your lesson, you can have your children plant a tomato seed in a cup or pot to review the lesson. They can place this plant stake in the pot to remind them that love is one of the Fruits of the Spirit. 2. In class have your children color the patterns and glue them onto the plant stakes. Tape some pipe cleaners onto the caterpillar's head. 3. Work on a Boarder for your Bulletin Board - You can make this an early arriver activity or prepare the boarder ahead of time. Print out and cut out the boarder before class and make sure you have enough copies to go all the way around your bulletin board. When your children arrive ask them if they would like to help you with a new bulletin board display. Give each child a section of the boarder and let him or her color it any way he or she would like. Start preparing for this lesson at least four weeks before you teach it. You will need tomato plants at different stages of development. It is best to teach this lesson in the spring or summer when tomato plants can grow. This lesson can be presented with a puppet or the teacher can demonstrate how to plant a tomato plant. You will need a puppet (Tomato Worm Puppet - optional), a pot, some dirt, a packet of tomato seeds (or a variety of different types of tomato seeds, and a watering can. Print out the apple shapes onto red paper, cut them out, and write one word of the Bible verse on each apple, leaving one word out. 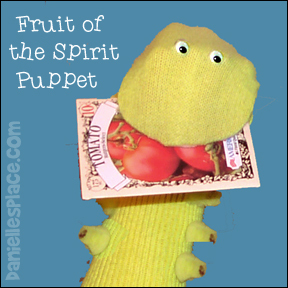 If you have older children, you can skip the puppet skit and just plant the tomato seeds yourself as you give the lesson. Teacher: Good morning class. I’ve brought a special guest with me today. You’ll never guess who he is. When I was out in my garden this morning I looked down at my rose bushes, and what do you know, there, lying on a branch was my friend Squirmy Worm. I asked Squirmy if he would come to church with me today. He said he was really busy, but he would come. Squirmy: Squirmy pops up with a packet of tomato seeds in his mouth. Teacher: Hi Squirmy. I would like you to meet my class. (Squirmy bobs his head up and down with the tomato seed packet in his mouth.) Class, I would like you to meet my good friend Squirmy. Teacher: Well, I think we have everything we need. You know, Squirmy, it takes a lot of work to grow tomatoes. You must really love tomatoes. Teacher: Squirmy, I can see that you took the time to pick out just the right seeds and you planned out exactly how you were going to plant the seeds. You have great plans for these seeds, don't you? Did you know that God has great plans for you? Did you know that God is compared to a gardener in the Bible? God planned to make you before you were even born. He knew exactly what he wanted you to look like. He loves you and wants you to be happy, healthy, and grow up to be a wonderful person just like Jesus. He has great plans for you because he loves you. Did you know that God wants us to produce fruit? He wants us to grow spiritual fruit. Squirmy: Yuck, that doesn't sound very good. Teacher: You don't eat spiritual fruit Squirmy. Spiritual fruit is how we act. What do plants need in order to produce fruit? Squirmy: Love and care. (Squirmy places his head on top of the pot of dirt. Teacher: They need soil, fertilizer, water, and sunlight to produce fruit. We also need things to help us produce spiritual fruit. What do you think we need to produce spiritual fruit? God gave us his words, Jesus, and the Holy Spirit. God's words are like water and fertilizer. The more we read his word and hide it in our hearts the more we will grow to become like him. He also gave us Jesus. Jesus is like sunshine. All plants must have light to grow and we must have Jesus in our hearts. He takes the sin and darkness away. God also sent someone else to help us, his Holy Spirit. We can't see the Holy Spirit, but he guides us and helps us to grow to be more like Jesus everyday. As we grow and learn more about Jesus, we will produce more fruit of the Spirit. Squirmy, there is some apple shapes back there that I wrote the Bible verse on. Do you see the apples? Teacher: The apple pictures right over there. Squirmy: Oh, those apples. I'm afraid I ate one of them. Teacher: Oh, well, we can still use them. Let's see if we can figure out what today's Bible verse is. Today we learned about the first fruit of the spirit which is love. To represent love we used the apple shape. (Hold up an apple shape.) The apple is shaped a lot like a heart. Hearts are often used to represent love so we can remember that the heart-shaped apple represents love. Teacher: Squirmy, we would love to see how your tomato plants grows. Do you think you can bring it back next week? Squirmy: I would love that. I will take really good care of this plant and bring it back next week so you can see how fast it grows. Bye, bye. Teacher: Bye, Squirmy. See you next week. Next week we will learn more from Squirmy. He will show us how we can grow fruit, not just tomatoes, but also spiritual fruit. Father, We thank you for giving us your Holy Spirit that leads us and helps us to become more and more like your son Jesus. Teach us how to be to be happy, and kind, and gentle and faithful, and loving. Amen. 1. 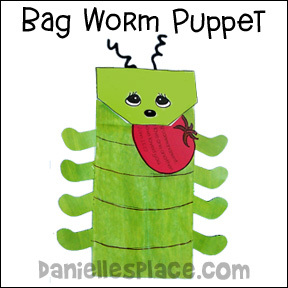 Make Squirmy Worm Paper Bag Puppet with a Bible Verse Fruit in His Mouth. 3. In class have your children color the face pattern and glue or tape it onto the bottom of the bag. Have them glue the legs to the back of the bag. 4. Fold a pipe cleaner in half and wind the ends around a pencil to make the antenna. Tape the antenna to the back of the bag. Glue the apple with the verse to the puppet's mouth. Bring in pots or cups, potting soil, tomato seeds, and water and help your children plant tomatoes. Use the caterpillar plant stake from the Early Arrivals Activity to place in the pot when they are finished. 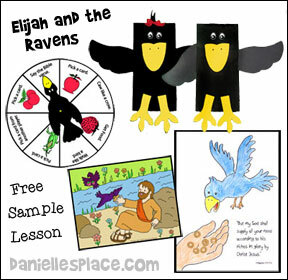 Use the apple shapes from the Bible verse activity above. Write the verse on the board and repeat it several times. Spread the apple shapes out in front of the children. Have your children take turns picking an apple and feeding it to Squirmy by placing it in its mouth. If a child picks a fruit out of order, Squirmy spits it out and the child must try again. Keep playing until all the children have had a chance to feed Squirmy. If you have very young children shorten the verse to less than five words if possible. 1. Before class print out the basket and apple patterns. 2. 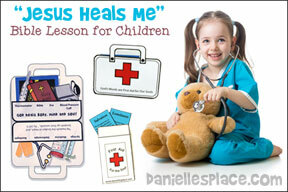 In class explain to your children that Jesus is our example to follow. He showed us how to love other. 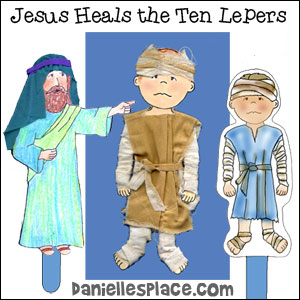 Ask them to think of Bible stories that they remember in which Jesus showed love. water into wine, talked to the woman at the well, fed the 5,000 people, died on the cross, etc. As your children come up with examples write them on the tomatoes and tape them in the basket, or near the basket when it gets too full. 3. When you are finished tell your children that Jesus wants us to love; when we love others we are displaying a fruit of the Spirit. 4. Print out the basket pattern and the apple patterns and cut them out. Cut a slit around the top of your basket so you can place the fruit inside the basket. Staple the basket to your bulletin board. Serve cut up apples for snack time. Let your children sprinkle on a little cinnamon and sugar. Cut the apple in half lengthwise and show your children how it is like the shape of a heart. Tell them that the apple can remind us of love. Have your children make a straight line one behind the other and spread their legs apart. The child at the end of the line is the worm and starts crawling through the other children's legs towards the front of the line. When he gets to the front, he stands up and the last child in line becomes the worm. Keep playing until all the children have had a turn to be the worm. Like God wants us all to love? And never stop to hate. Do you love, love, love? 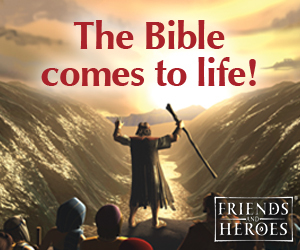 In the Bible do you know? There are lots of places to go. And to know how to love too. See the "Comments Section" below for more song ideas. All rights reserved. While much of the material on this site is free, it is still copyrighted. It may not be reproduced or transmitted in any form or by any means, electronic or mechanical, except for use in your local church, school, home, library, and other organizations. It is illegal to copy any part of this website and place it on another web site, bulletin board, or personal web site even if you include the copyright notice. To request permission to copy this material for any other use than personal use contact me by e-mail. I have a poem that goes with the fruit of the Spirit lesson I used for my Wednesday night mission class. You go through the alphabet and let the kids guess a fruit name, for example "a" is for apple, "b" is for banana, "c" is for coconut, etc. But the fruit of the Spirit is love, joy, peace, and patience, kindness, goodness, faithfulness, gentleness, and self-control. *Note: If you can't find tomato seeds, you can get the seeds out of a ripe tomato. The children I taught ages 4 to 10 LOVED this lesson. I made the worm puppet. It was so easy to do. I have tried to make puppets before but they didn't turn out very well. Your instructions were right on target. The children all wanted to play with it! We made the plant stake at the beginning of class. We planted tomato seeds and I let the children take them home to watch them grow. The children also enjoyed playing match the fruits of the Spirit game. Thanks for all the great tips. Our preschoolers have been enjoying the lessons on the fruit of the spirit. 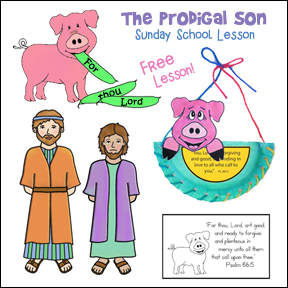 I read an idea from another lesson (I can't remember if it was your site or not) that helps the kids learn the fruits of the spirit. I taped balloons up across our puppet stage and cut out the "fruits" from the first lesson and taped them on the balloons. We then had a puppet named Mr. Meanie with pin in his mouth who came out and popped the balloons one by one with me reviewing each time with the kids to help me remember which ones he had busted. To add to the fun use a silly voice (ask someone to help if you can't do puppet voices) to laugh and say something like, "Pop it, pop it, I'm going to pop it". Most computers have a sound recorder so you can get a microphone and record it to CD to make the playback easier. 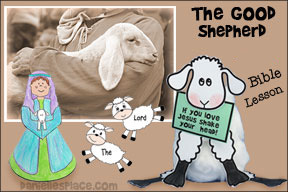 Here's a song I use with my children in Children's Worship. We snap our fingers to the beat while singing! Gentleness and Self-Control the Fruit of God's Spirit lives in you. I just taught the Fruit of the Spirit lesson on Love to my Wednesday night group of 6-8 year olds. The kids loved Squirmy! 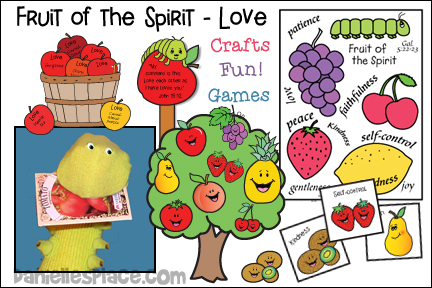 Since the apple represents love in this lesson, I changed the tomato to the apple in the following activities: Feed Squirmy Bible Verse Review Game, Love Basket, Fruit Sheet - replaced the tomato with a banana. I'm only going to use the tomato when Squirmy is involved in the story. 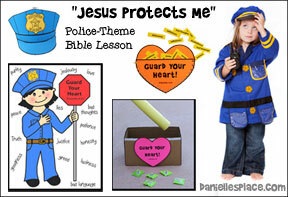 I used all the Fruit of the Spirit Lessons in my Preschool (3-5 year olds) Wednesday evening Bible class last month. I made the Squirmy Puppet out of a striped sock and he was a huge success!I ended up teaching by myself the first week, so instead of having Squirmy say his lines, I just had him whisper in my ear and I would respond to whatever he had said. The kids sat with total attention throughout every lesson!We even did 2 fruit per week and had no problem because they were so eager to hear what Squirmy had to say. My daughter, who had watched me make the puppet in our kitchen even interrupted the first lesson to ask, "Mommy, is he real? 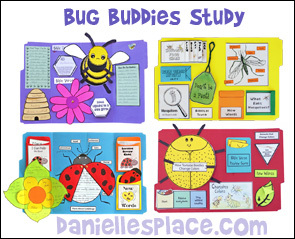 "She was so entranced by him!What was so wonderful about the lessons is that there were several crafts of varying degree to choose from for each fruit, so I really could create my own lesson from all the choices--therefore meeting the needs of my group of kids. We had a "guest" (my dad) come show them how to cut up a real pineapple one week and they loved that experience. 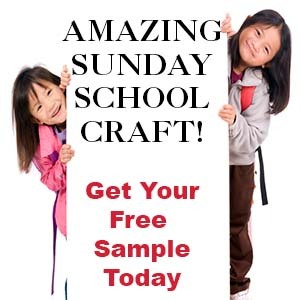 Several parents commented that they loved the crafts and had them hung up at home to help their whole family remember the fruit of the spirit. The thing that impressed me the most was that the kids can still name the fruit of the spirit, and I never asked any of them to memorize them. The adult classes were studying the same topic last month, but I think our lessons were better! !Thanks for the great site! We're finishing the Fruit of the Spirit series and I must say my kids have really enjoyed Squirmy! The lessons, coloring and crafts were great. As a final craft we're doing a mobile. I found toy fruit-shaped containers with candy powder at the Dollar tree (Eight different flavors and containers per pack for $1.00). I drilled 9 holes in the bottom of an industrial size toilet tissue (short and squat) and 4 ontop, and spray painted it. We attached9 toy fruit containers with curly ribbons and ran ribbons from the 4 holes on top to hang it. I printed out Galatians 5:22-23 on to a sheet of paper and we glued it around the tissue roll. As we reviewed the different fruits the kids enjoyed the candy. 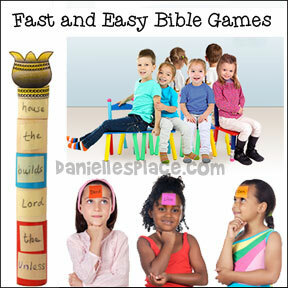 This series was so easy and fun to teach, most of my children (Wednesday nights, average of 17, ages 2 to 7, have memorized the scripture and can tell you all about the "Fruits". Thank You and we look forward to new material! Teena Reid, Christian Life Ministries, Georgiana, Al. 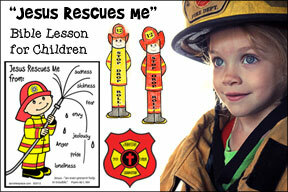 We used the Fruits of the Spirit lessons in our Children's Worship for children ages 4 thru 2nd grade. The children and teachers enjoyed the lessons. We had small a photo album for each child to put their scripture verses in each week. The last lesson we reviewed all the lessons and they took home their scripture albums and fruit baskets. We really like lessons that build on one another. Down in my heart, down in my heart. Down in my heart. Down in my heart today. Straight from my heart, straight from my heart, straight from my heart. Straight from my heart. Straight from my heart to you! Down in my heart. Down in my heart always. Oh, I'm so happy, so very happy! I've got the love of Jesus in my heart, down in my heart! I've got the love of Jesus in my heart! Just started doing the fruit of the spirit series and found something that goes great with them. Go to www.toyboxtales.com and download the stories for the fruit of the spirit series. I then raided my son's toy box and found the items needed to do the stories myself. You can show his prerecorded tales if you like but after doing a few myself I can tell you that this teaching tool grabs the kids attention like you wouldn't believe. When I set up a story scene,the kids rush up to get front seats and say things like "Oh I'm so excited. I can't wait to see the story. Try it. You'll love it. Mr. Ricky. A delightful production that kids will love while it teaches valuable lessons! See below for track listings and RealAudio sound clips. Recommended for ages 2 to 7. You may publish a picture of a finished project you made from this site (not the directions and patterns) on another web site as long as you state where you got the project and include a link back to the project on this web site for the directions and patterns. If you would like to publish something from this web site on your site email us (see link above) for permission.